4/12 from the 2007 Treasure Hunt series. 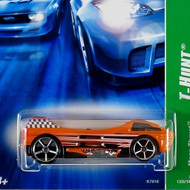 The black C6R features the U.S. flag, “Hot Wheels”, “22”, and a variety of logos. 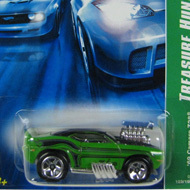 The top and spoiler have olive and blue stripes and the clear windshield has “CORVETTE” at the top. 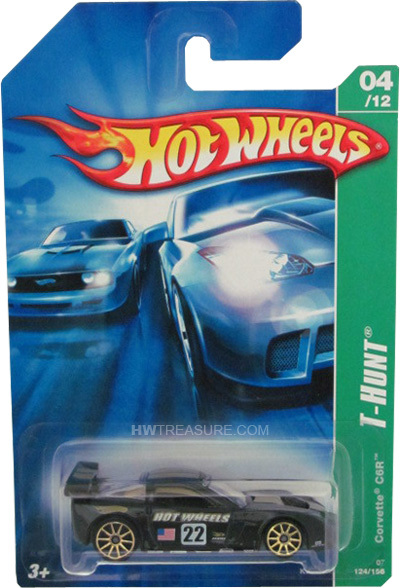 It has a black interior, gold 10-spoke wheels, and a grey plastic Malaysia base.